Because people don’t learn much by ‘chalk and talk’ but by joining in, we design and plan our training sessions to take all of these things into account. Importantly, people don’t learn when they are bored, therefore we ensure the training sessions are lively and interesting and offer encouragement to try new things. Stand & Deliver trainers are experienced in working with people who have little experience in training. Besides this, we know how to make people feel comfortable and to provide a range of ways in which information can easily be accepted. We have worked with many organisations throughout the UK and abroad to deliver cost-effective training programmes. Therefore, our experience is at your disposal. We list some of our client organisations on the Clients & Feedback page. As experienced practitioners we have a proven track record in the design of programmes. Importantly, we bring a creative eye to training solutions and focus on the client’s required outcomes and the participants. We carry out immediate evaluation after every programme and event and provide the client with that information in a report. Besides this, for longer programmes, we will agree the evaluation process with the client. We formed Stand & Deliver in 1993 and we have grown yearly in aspects of turnover, number of clients and trainers. 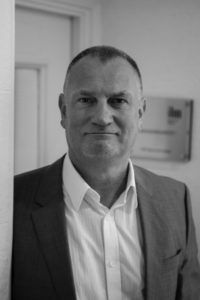 John Eatough is the MD and Business Manager and, importantly, keenly oversees all aspects of the business. We have widened the range of our training and development programmes in response to the needs of our clients. Therefore, we are proud of the fact that clients ask us to take on new assignments for them and we work diligently to maintain our reputation for rapidly developing cost-effective learning and development. Importantly, we design each programme or workshop to be delivered by one of our specialists . We deliver our services throughout the UK and overseas and are backed by an efficient Course Support department. “Specialists” make up our training team. These people are experts in their field whether it be ILM Programmes, Leadership, Communication Skills, Project Management, Finance, Sales etc. etc…. Our trainers are specialists with a proven track record and extensive knowledge and experience in their development areas. They work across many industry sectors, incorporating best practice into their work. Besides this,they share a common value base and are committed to and invest in their own life-long learning. Importantly, our approach is dynamic and interactive and we always look for ways to ensure maximum involvement. Because the required outcomes are our focus, we work with organisations to put into place development programmes that fit. This may be in the form of a menu driven list of designed in-house workshops. It may also be a multiple-day programme containing designed segments to be delivered over a specific period of time for a number of groups. The learning can also be a short intervention designed for maximum impact.